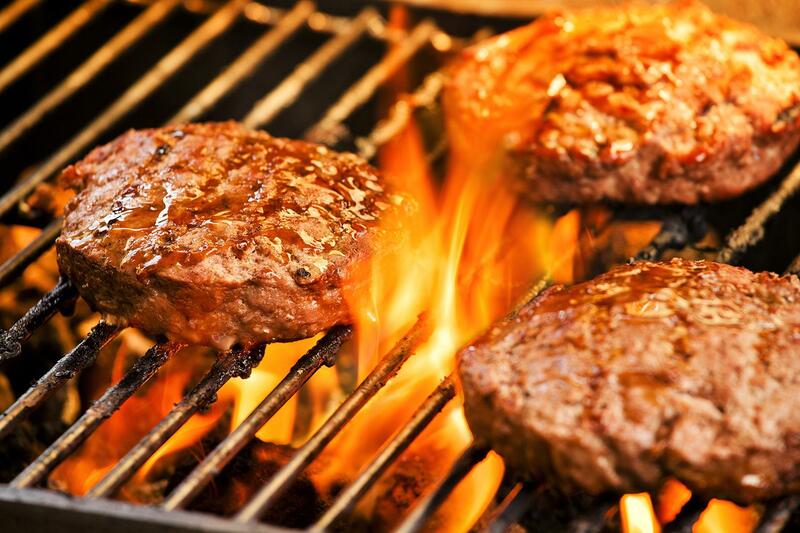 There is nothing better than the smell of food on the grill at outdoor summer parties. Warm afternoons and evenings spent grilling and on a patio, in a pool, or merely in a backyard with family and friends allow for fabulous memories. Many of us have already pulled out our grills and hosted our first BBQ of the year. As we continue to enjoy the warm grilling weather, it is important to remember to do so safely to prevent home grill fires and related injuries. According to the National Fire Protection Association (NFPA), U.S. fire departments responded to an average of 8,900 home fires involving grills, hibachis, or barbeques per year between 2009 and 2013. These 8,900 fires caused annual averages of 10 civilian deaths, 160 reported civilian injuries, and $118 million in direct property damage (NFPA). The leading causes of the fires include failing to clean the grill, placing the grill too close to flammable items, leaving the grill unattended, and a leak or break (NFPA). The above statistics cause one to realize the significance of grill safety. If you have not put your gas (propane) grill to use yet, you should not only check the major connection points between the gas (propane) tank hose and regulator and cylinder but also the area where the hose connects to the burners. We highly suggest checking the gas (propane) tank hose for potential leaks as well. To check for leaks, you can apply a light soap and water solution to the hose and check for bubbles around the hose once you turn on the propane tank. Your grill is safe to use if no bubbles appear. If you already used your grill this season, we recommend you check the aforementioned items prior to your next cookout. Once you ensure the grill is safe to use, you can start grilling those yummy cheeseburgers and hotdogs. While making your favorite tasty foods for your loved ones, you should follow the below tips to ensure everyone’s safety. Keep the grill away from your home, deck and overhanging branches. Be sure children and pets do not come within three feet of the grill. Maintain your grill’s cleanliness, which consists of the removal of grease and fat buildup from the grill and trays below the grill. If you are using a gas grill, make sure the lid is open before you light it. If you are using a charcoal grill, only use charcoal starter fluid if you use a starter fluid. If you are using a charcoal grill, allow the coals to completely cool prior to disposing of them in a metal container.